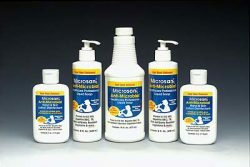 The Microsan Rx ® family of anti-microbial Surgical Scrubs, Lotions and Foaming Hand Sanitizers are unique and technologically advanced products which will kill 99.999% of over 130 different bacteria, viruses, yeast and mold in 30 seconds or less. 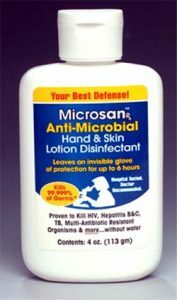 The Microsan Rx ® lotion leaves a “Glove of Protection” on your hands that will continue to kill for 4-6 hours. The Foaming Hand Sanitizer will provide residual protection for 2-4 hours. 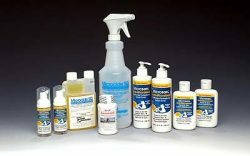 Because these products are anti-microbials and do not work like antibiotics, they will not promote organism resistance to our active ingredients. 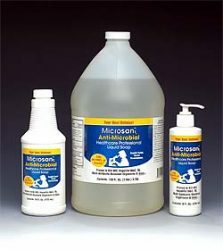 Microsan Rx ® Foaming Hand Sanitizer has a unique formula that creates a synergistic, long lasting “Glove of Protection” on your hands.. Microsan RX® Foaming Hand Sanitizer contains 1300ppm USP Benzalkonium Chloride, 14% ethyl alcohol, NP-9 (surfactant) and a 3.5 pH which work together to denature the cell wall proteins (so they fall apart) allowing the pH of the solution, additional surfactant and benzalkonium chloride to denature the metabolic pathway enzyme systems killing the organisms. This killing takes place in as little as 15 seconds. 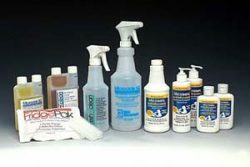 This works for a wide variety of enveloped and non-enveloped viruses gram negative and gram positive bacteria, yeast and even some molds, including: MRSA; VRE; C-diff; Hep-B; Hep-C; Norovirus and the Aids Virus. The deposition of benzalkonium chloride provides residual protection, preventing re-colonization for hours. 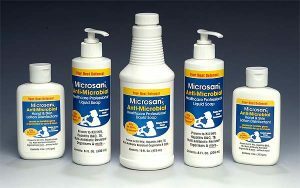 While alcohol-based hand sanitizers stop working the instant they dry, which is approximately 8-10 seconds, Microsan leaves a deposition of germ killing ingredients that continue to kill for up to 4 hours. 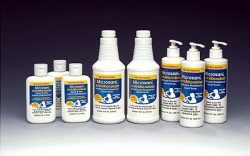 Microsan does not leave biofilms because moisturizers and/or emollients are not necessary. Materials providing residual protection such as nonoxynol-9 and benzalkonium chloride,-used as a residual leave on, is a positive aspect of the formula because unlike gel polymers which dry as a film, these materials are non-comedogenic and will not clog the pores of the skin. The fact that these materials are active ingredients that remain active for hours–even in the presence of organic material, makes this type of deposition a part of the antimicrobial system. . 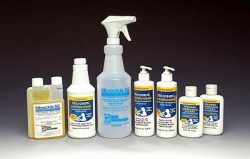 It is well-documented that biofilms in alcohol-based hand sanitizers actually trap germs and inhibit the effectiveness of alcohol during multi-use situations.